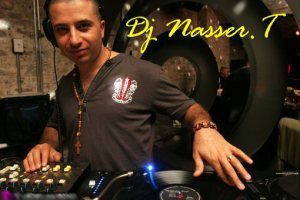 Sydney’s DJ Nasser T – The Originator! | SOUL OF SYDNEY FEEL-GOOD FUNK SOUL DISCO vibes & beyond. Sydney’s DJ Nasser T – The Originator! If you don’t know who DJ Nasser T is then this is your crash course in “how-to-maintain-consistency-and-success-as-one-of-Sydney’s-original-urban-dj’s! His honesty and professionalism is what keeps this hard-working and passionate radio and club dj focused on bringing nothing but the music to his strong fan base and never believing the superficial hype that often envelopes a DJ’s true mission in this game. Currently the tour support DJ for the C & C Music Factory Tour, Nasser T always makes time for what matters the most – real conversation about real music in an industry that he has helped build from the bottom up! When did you become a DJ and what inspired you to want to be a DJ?